We spoke with world-renowned interviewer and New York Times best-selling author, Cal Fussman. He has a knack for asking all the right questions to really get to know someone, and shares his best tips for HR to ensure that they hire the right candidates. Some of his most notable interview subjects have included Muhammad Ali, Mikhail Gorbachev, Al Pacino, Jimmy Carter and Richard Branson – all published in the coveted Esquire magazine. Cal explains why (and how) companies need to ditch their canned hiring questions in favour of a storytelling-based approach. The best interviewers are good at reading people. Take this Emotional Intelligence Self-Assessment to see how perceptive you really are. How can the authentic method of journalists’ questioning be translated to the hiring process? Well, the great thing about authenticity is it’s the same in any situation, and you know it when you see it. When you hear Louis Armstrong’s voice, it can’t be anybody else but Louis Armstrong’s voice. And when you see that authenticity, you’re immediately made comfortable even if you don’t like the person and what they stand for because, at the very least, you can trust them. The first thing between interview and their subject is to create a space of trust. It’s the thing that we most need. And how can recruiters set the tone for this trust? If recruiters want their candidates to be authentic, they need to also be authentic. Be human. Don’t go into a stuffy room with a stack of papers and a list of questions. Go for a coffee and get into a real conversation. Research the candidate well and prepare your questions beforehand, but don’t bring them in. That paper is a barrier between you and the truth and it stops you from fully listening. When I conduct an interview I want to be completely in the moment, listening to everything that’s being said. And then, because I’m listening that intensely, I am able to constantly take the conversation either to a deeper place or move it along laterally to another place where I can eventually go even deeper. I go through all these interviews and I try to make the best possible decisions, but I really never know who they are until the second day they’re on the job. They sold me a whole bill of goods during that interview, and I’ve been tricked time and again. Why does this happen so often? What’s the flaw in the system? The flaw is asking the wrong questions that lead to empty answers. Interviewers need to look for the stories that shape a person. The whole system is forged, there’s too much preparedness on both ends, and that’s what kills authenticity. Both the interviewer and the interviewee should at some point not know where the conversation is going. It has to be organic for it to be authentic. Can you give us a glimpse into your personal technique? First you have to go for the heart, then the head, then the soul. Start off personal to create that space of trust. Begin with a question that might immediately take the interview into a different place. Get them with something unexpected that they didn’t prepare for. That’s when you get the most “real” answers. All their scripted answers are out the window, and they now have to think on their own. They have to think quickly or if they can’t think quickly, they have to authentically show that, “You know what, I’m a deep thinker. Give me a second. I’m gonna get to the bottom of this.” Or if they’re very glib, maybe they’ll come up with something in a finger snap. But now, you already have a way to assess the person. You can see strength and weakness just in that, without directly asking them what their strengths and weaknesses are. Is there a right or wrong answer in job interviews? For the most part no. It’s more like you’re casting a movie and you know the part you need to cast for, and you know the traits that person’s going to need to make that job work for you and for that person. And so, it really isn’t a matter of this person’s bad or this person’s good. If you treat it like a casting director in a movie, you would say that’s the perfect person for that role. It’s a terrible thing for a company to hire the wrong person. It’s costly and inefficient. But you know something? I think it’s a terrible thing for a person to take a job that’s not a good job for them because it’s only going to put them in a place where they’re not feeling particularly comfortable and they’re going to want to leave anyway. How can you turn the standardized questions about skills, strengths, and weaknesses into a conversation? Then you know the person’s prepared for it. If you come in with the old questions, the canned questions – you get canned answers. What good is that? I would learn much more seeing that person move through obstacles in a story form. And the questions need to get you to the story. If the questions don’t get you the story, I really doubt you will leave the room knowing that person. What sort of questions get you to the story? Can you give some examples. There’s nothing in those questions that are threatening, even if you throw them of course from what was expected. There’s nothing that would make somebody feel, “Uh-oh, they’re trying to get me.” I’m just asking you to give me another way of looking at yourself. And they’re going to give me the name of the song. And then, I’m going follow up on the question with an equally as important question: Why? And then they’re going to probably tell me a story. And in that story, I am going to get to the essence of who they are because, at least, that’s how they see themselves. You can learn so much from this answer, you have no idea. And then keep digging – keep it going. Always follow up with “why”, and you’re really going to see the person become multidimensional in front of your eyes as opposed to getting a one-dimensional answer to, “What’s your biggest strength? What’s your biggest weakness?”. Just make it a conversation. Any other way is disrespectful to the interview process and counterintuitive to what you really want to get out of it. Can HR personnel cultivate their interviewing and perception skills or is this quality innate? Well, wouldn’t it be best if you were working in HR to make sure that the people you hire to conduct interviews already had a strong level of emotional intelligence? Someone born to be able to read into what people are saying, to be able to listen properly to a story and drive it deeper. So often when I talk to companies l find out that the manager in charge of hiring hates doing interviews! That won’t work out very well. You want curious people who love people and their stories. Interviewing is an art form, and you need the right person to conduct it. How much should an interviewer speak during an interview? I recently spoke with an “executive assessor”. Basically, when a company is about to hire a CEO, they bring in this guy at a considerable cost to spend four hours with the candidate and just dig in deep, because the company wants to make sure that they’re making the right decision. He knew about my experience interviewing iconic people around the world, so we decided to interview each other just to see what the overlap in our experiences would be like. This means that candidates should be speaking 90-95% of the time. What’s the biggest mistake people make when it comes to interviews? Answering to be right, instead of being truthful. People shouldn’t look at a job interview as, “Oh, my God. This is going define who I am. If they hire me, I’m great. And if they don’t hire me, I’m a loser.” It’s absurd. It’s no different from dating. When people get rejected, they think, “Oh man, I got dumped. I’m not worthy.” It’s ridiculous. This is not a good fit. That’s all. And be thankful it’s not a good fit. Because why would you want to be in a relationship, or at a company that’s not a good fit? You don’t want to bring in the wrong person. It’s that simple. And it’s not about the person being good or bad. Is this person the right fit for the company culture. They can be good on paper, but do they fit your values? Does their personality align with what the company needs? If you can figure all this out before hiring, you’re more likely to retain your candidates. So, what’s the bottom line, Cal? The bottom line is that it all comes down to human connection and authenticity, and that comes from creating a safe space for candidates to share their stories. Every story contains a small essence of that person – you just need to know what to look for. Companies often hire the wrong person because they didn’t ask the right questions. Companies need to absolutely hire HR personnel that are curious about people, perceptive and have a love for interviewing. The authentic person is in their candid stories, not their prepared answers. Don’t bring your questions in with you. That paper acts as a barrier. or “how” – keep pushing to get to the core. The biggest mistake candidates make in interviewing is answering to be “right” instead of “true”. This is why the storytelling method works best. 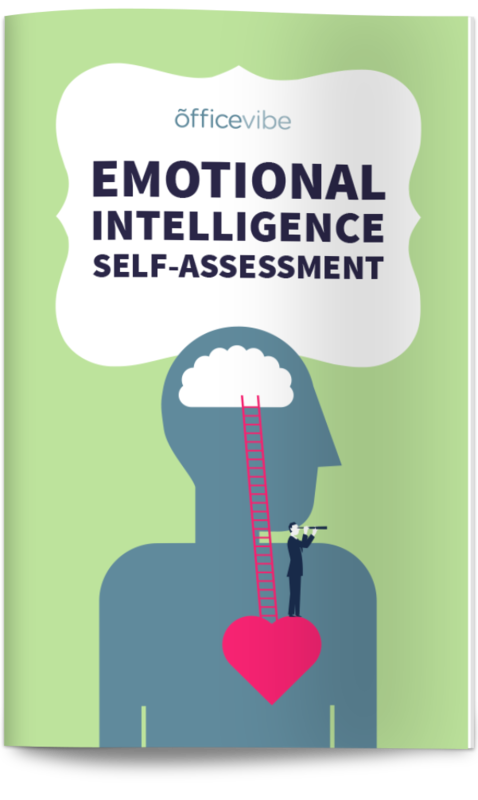 Bonus: Take this Emotional Intelligence Self-Assessment to see how perceptive you really are. What are some of the most interesting questions you’ve asked or have been asked in a job interview?